These are swag medallions that can be added to any sheath or holster where a #8 (1/4") rivet/eyelet hole exists. 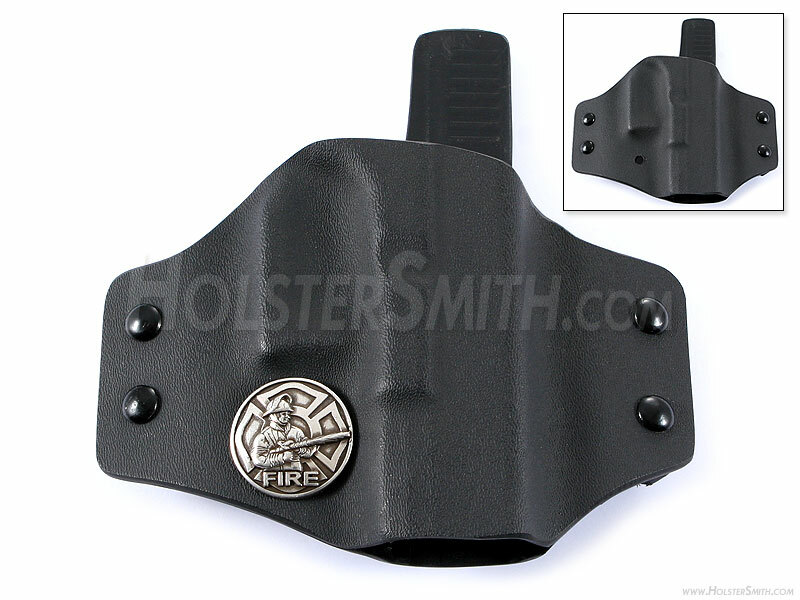 You can mount this design with the screw-post rear to any existing #8 (1/4") rivet/eyelet hole and add a bit of "coolness" to your sheath and holster designs. 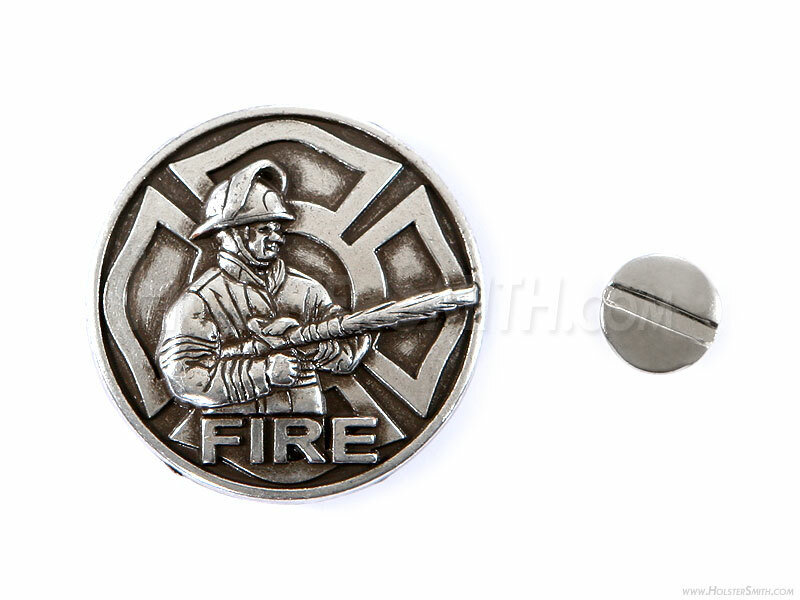 Note: Image below shows sample medallion mounted on an existing #8 sheath eyelet/rivet hole. Please check image and description above for actual model and hole pattern.